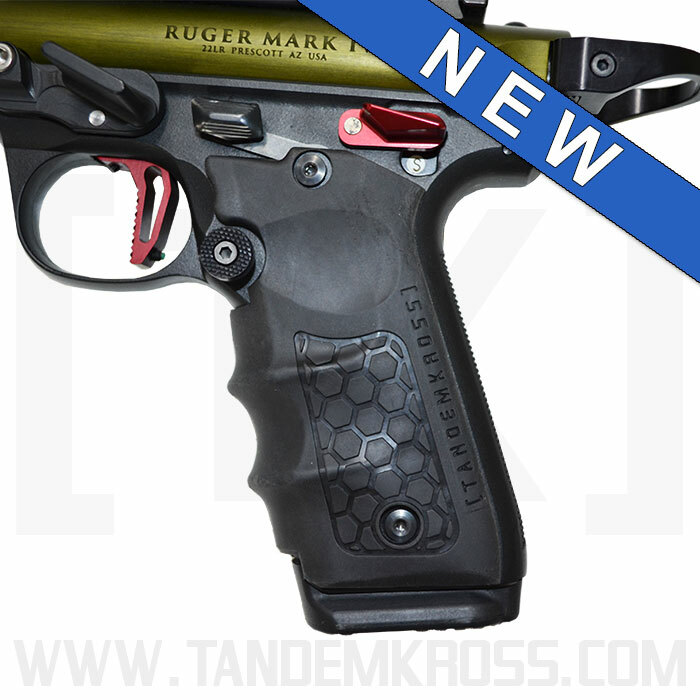 Get the best Ruger®® MKIV™ 22/45® grips for speed shooting sports from TANDEMKROSS. WARNING: This product can expose you to chemicals including quartz (sillica), which is known to the State of California to cause cancer, and mercury, which is known to the State of California to cause birth defects or other reproductive harm. For more information go to www.P65Warnings.ca.gov. There was clearly a lot of thought that went into this grip, and it pays off across the board. 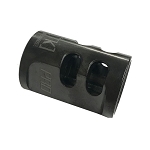 It has a great texture for a rock solid grip and has been designed to work with however you may have customized your left/right thumb safety switches on your MK IV 22/45. I can not think of a single way this product could be better designed. 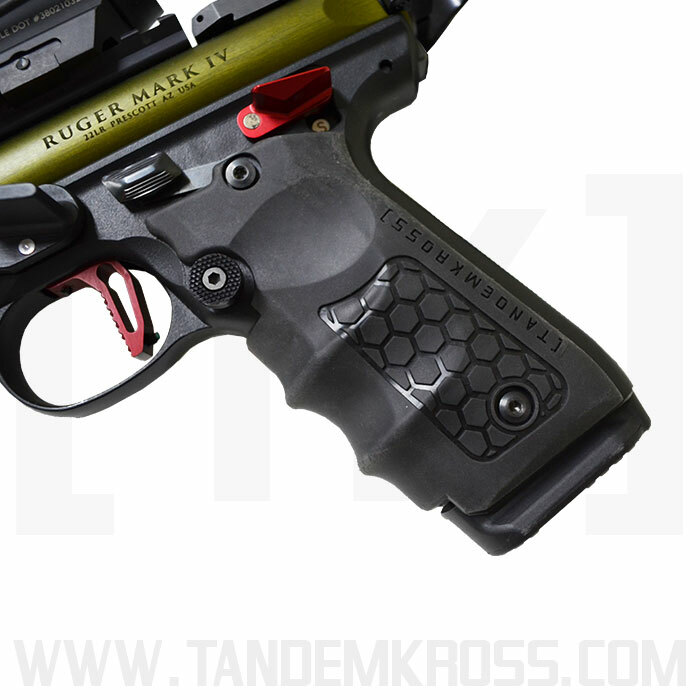 After having the Hogue wrap around grip on my MKIII, I can say that I prefer the hive on the MKIV in comparison. It has a sticky feel without being rubbery and mushy. It's comfortable in my hands and is also to my teenage son and ten year old daughter. GREAT grips! These are awesome. 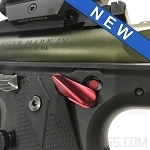 This has been the single greatest improvement to my Ruger Mark IV 22/45 Lite. This grip fit perfectly, feels great in my larger hand, was a great price and even the standard shipping had it at my door in a few short days. Keep up the great products TK. 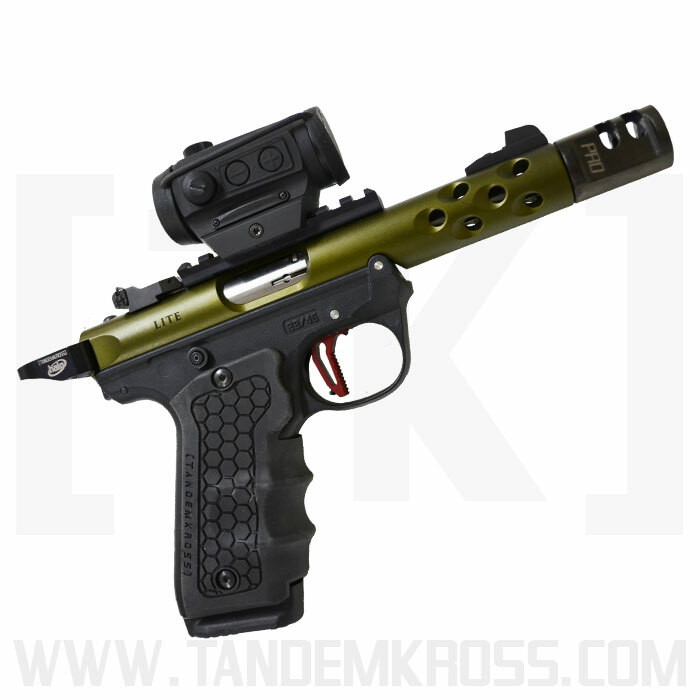 Awesome upgrade over the stock grips. Fit and finish are both top notch. Q: What are they made from? A: We utilized a patented material that is used in many stock and grip materials to provide the cushioned rubberized feel. Q: Can I use a gun cleaner on them? A: The material is chemical and solvent resistant but we recommend that you don't expose them to harsh cleaners or solvents for an extended period of time. Q: Can I use my factory Screws? A: Yes. 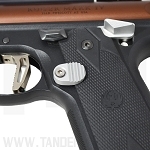 We designed the grips to utilize the factory screws. Q: Does this product have a lifetime Guarantee? A: Yes! 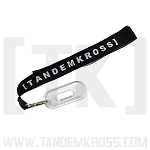 All TANDEMKROSS products come with a lifetime guarantee. 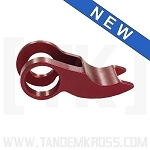 Q: Does the hiveGrip work with the Factory Magazine Release? A: Yes. There is a cut out for the factory Magazine Release to allow it to be utilized. 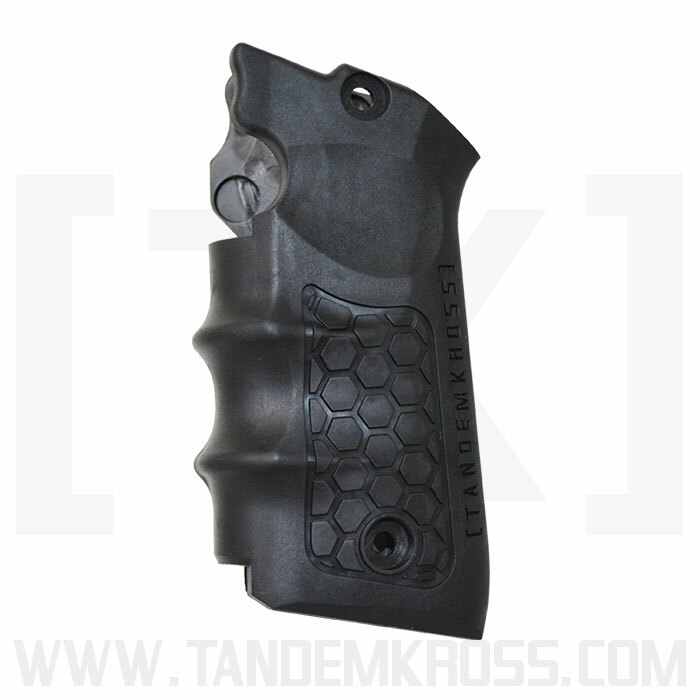 The TANDEMKROSS Titan extended magazine release is designed to give the shooter a better feel of the magazine release when utilizing the hiveGrip. 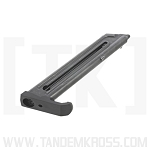 Q: Does the hiveGrip interfere with the magazine basepad? 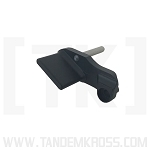 A: The hiveGrip does not make any contact with the basepad.